Here’s the thing about cloud storage for business: It’s not as cheap as you think. Pogoplug says small and medium businesses can do better by using existing hardware and still get the sort of shared storage and file access that have made Dropbox such a great success in the consumer realm. Cloud Engines’ Pogoplug Team software installs on an existing PC or file server running Mac(s aapl), Linux or Windows(s msft) — which then becomes a secure storage repository for team members and for outside customers and partners with access privileges. Dan Putterman, CEO of Cloud Engines, said the service, which costs $15 per user per year also works out to be less expensive than mostof the cloud options. For five people sharing 2 TB of storage, for example,PogoPlug team works out to be $75 per year while Google — which charges $10 per employee per month ends up being $600 per year and Box, which lists for 15 per month per employee would be $900 per year. It is not clear, however, how many of these storage users are actually paying for their service. “You carve out some storage space, John’s folder and then [once you verify that it is your file or folder] add users to whichever documents you want them to be able to access,” said Putterman. The software thus creates what Putterman calls an onsite cloud. Internal file access runs at LAN speeds — an improvement over the latency that often comes with the cloud storage options that are popping up like mushrooms after rain. Most recently Google(goog) (finally) threw its hat into the ring with Google Drive, but business-focused options include Box and Egnyte which just signed a 25,000-seat deal with ad giant Young & Rubicam. “We want to give these companies the benefit of what has become table stakes for cloud storage–access to all your files, the ability to share those files with people outside the company ut with the added benefit of using on-premises storage. Should the company use up its storage allotment, it can plop in a new drive — probobaly the most inexpensive option — or sign up for Pogoplug Cloud a for-real cloud storage service, the company said. 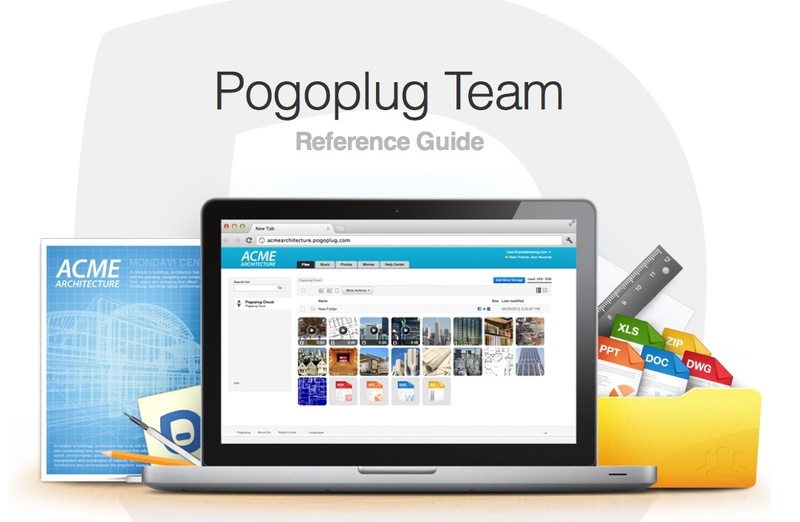 Pogoplug Team is the new entrant in the cloud storage industry for businesses, Welcome! Thanks Barb for the interesting update. One other similar solution that targets SMBs is SyncBlaze which is offered through channels, comes with amazing features and unique pricing model. They also offer deployment flexibility, host it on their cloud or in our data center.